Since that day I have spent some time each day reading a few of the beautiful stories. Some stories are sad, some filled with miracles, some make you laugh and others make you think....it is a wonderful collection and it has made me truly appreciate all that I have been blessed with. This book has been a true gift to me and thus I have decided to spend this holiday season giving back. My shopping is done, cards have been mailed, house is decorated and so now it is my time to spend time each day counting my blessings and giving to those in need in anyway I can. Money is tight for us but I plan to give through baking, cooking, volunteering, donating and my new special project, "Advent Letters". "Advent Letters" is a project that I dreamed up as a way to reflect upon my life and those special people in it. My mission as we count down to Christmas is to write one letter per day (24 in all) to someone important to me, I hope these letters will show the people in my life how much they mean to me and how much I appreciate them. It is a gift for me to write them and I hope it will be a gift for them to receive them as well. Each day this month I will share on this blog the recipient of the days letter as well as the experience that Z and C will open in their Advent Calendar. So please think of others as you go into this crazy time of year and find away to give back. My very first letter of "Advent Letters" went to my brother in-law, Uncle B. Uncle B lost his wife this year, our dear Kiki, and I felt he was the perfect person to start this project with. He is an amazing person with a giant heart and I know how badly it is aching right now. I am so lucky to have him as my brother in-law and will miss him terribly this holiday season (he will be visiting his family over seas). I hope he enjoys the first letter and I hope he knows how much we love him. Z and C opened their first door of their Advent Calendar today and found a note letting them know that tonight is the first night of Hanukkah. Our dear family friends celebrate Hanukkah and every holiday season we celebrate along with them. Tonight we will read our Hanukkah books, play a game of dreidel and I will attempt to make latkes for the first time (I hope they are 1/2 as good as B's :)). It might seem odd to some but we are spending our first day of Advent, learning about and celebrating Hanukkah. iKeith's family was Jewish about 60 years ago. iKeith's Grandpa married a nice Catholic girl and he converted for her. Someday when the kids are older...I want to celebrate Hanukkah because it is a part of their background. 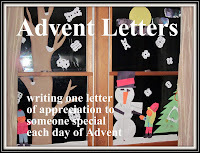 The advent letters is such a lovely idea! As part of my challenge - 30 things to do before I'm 30 I'm writing to 30 people. 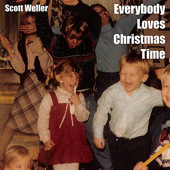 This is a great time of year to think of the others in your life. I love Christmas books, I think it's a good idea to start a small collection of books like this. We all need a wee reminder now and then. The advent letters are a WONDERFUL idea. And I think its AWESOME you are celebrating and learning about Hanukkah. In college a lot of my sorority sisters were Jewish and they were surprised how much I knew about Hanukkah, you see my fifth grade teacher taught us about it when she found out one of the students was Jewish - he even brought in dreadles and chocolate coins when his mother came to help tell us about the holiday. That led my dad to build me a menorah and my family to light the lights each night. I don't think you have to be any specific religion to APPRECIATE other religions. 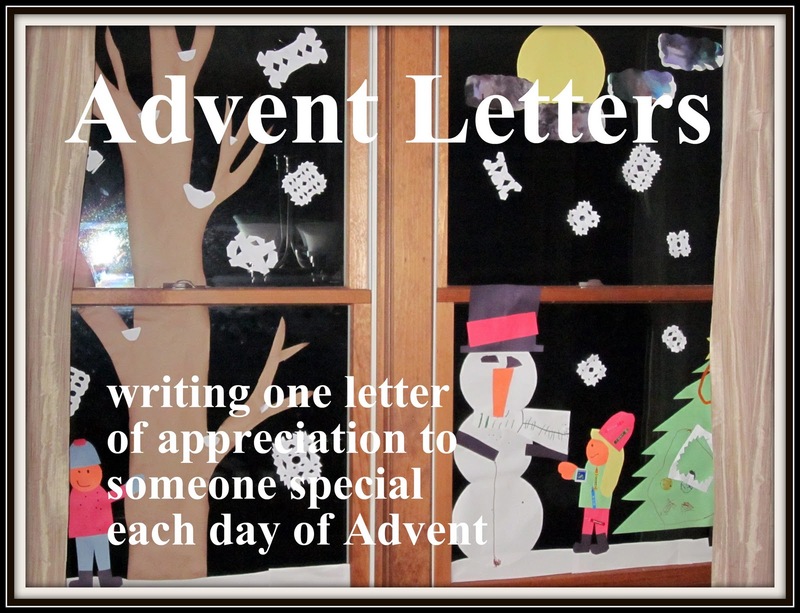 Advent Letters....what a beautiful idea! You have such a giving heart! Happy Advent, my Friend! I really like your advent letters. Can wait to read more.